ShelfMax Shelf Bin 23-5/8" x 11-1/8 x 6, Blue (30014BLUE). This item sold in carton quantities of 6. 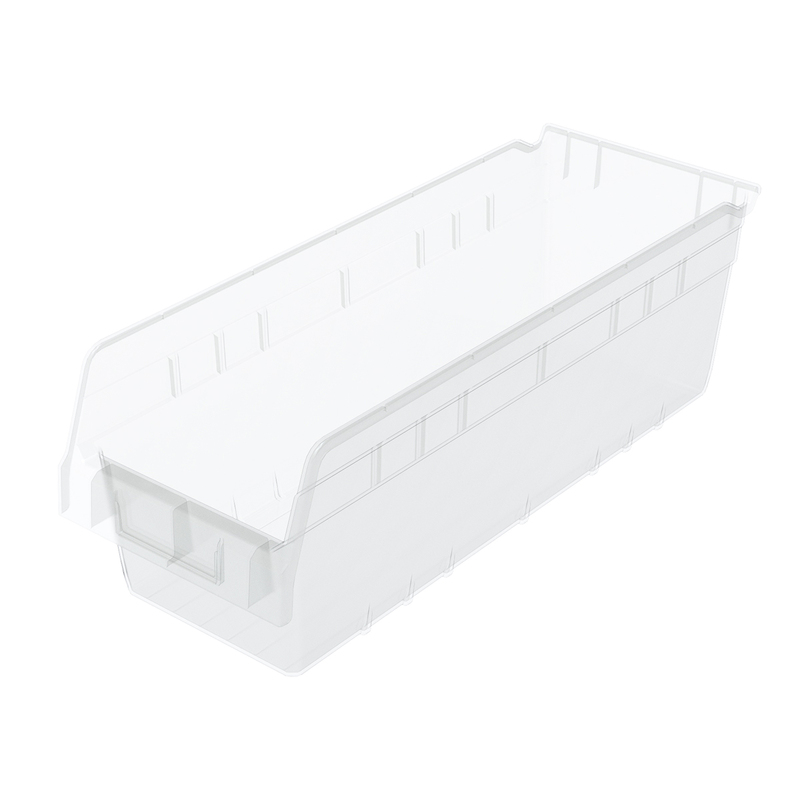 ShelfMax Shelf Bin 23-5/8" x 11-1/8 x 6, Clear (30014SCLAR). This item sold in carton quantities of 6. 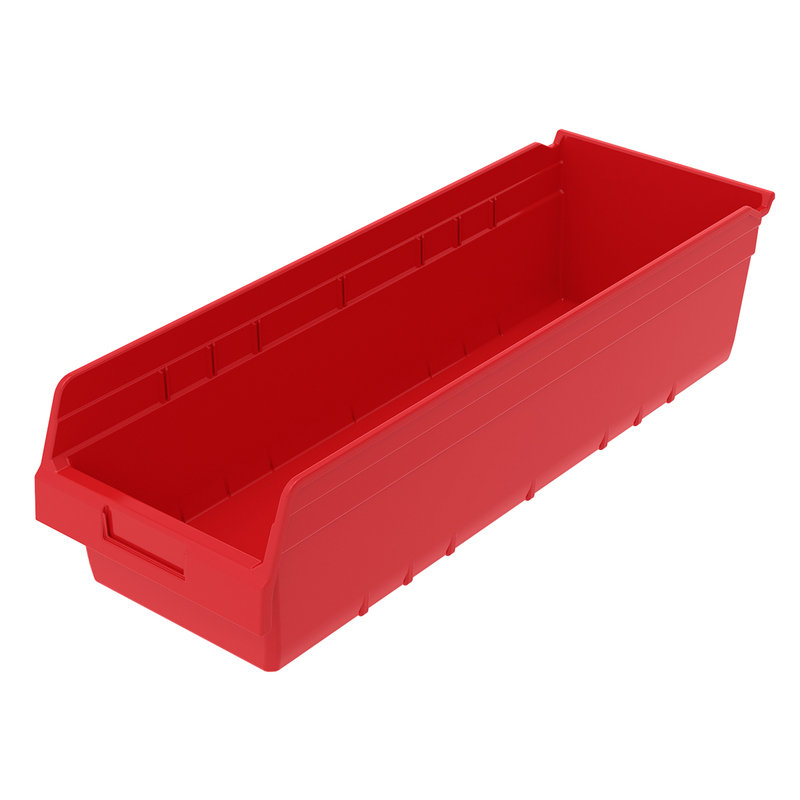 ShelfMax Shelf Bin 11-5/8" x 4-1/8 x 6, Red (30040RED). This item sold in carton quantities of 16. 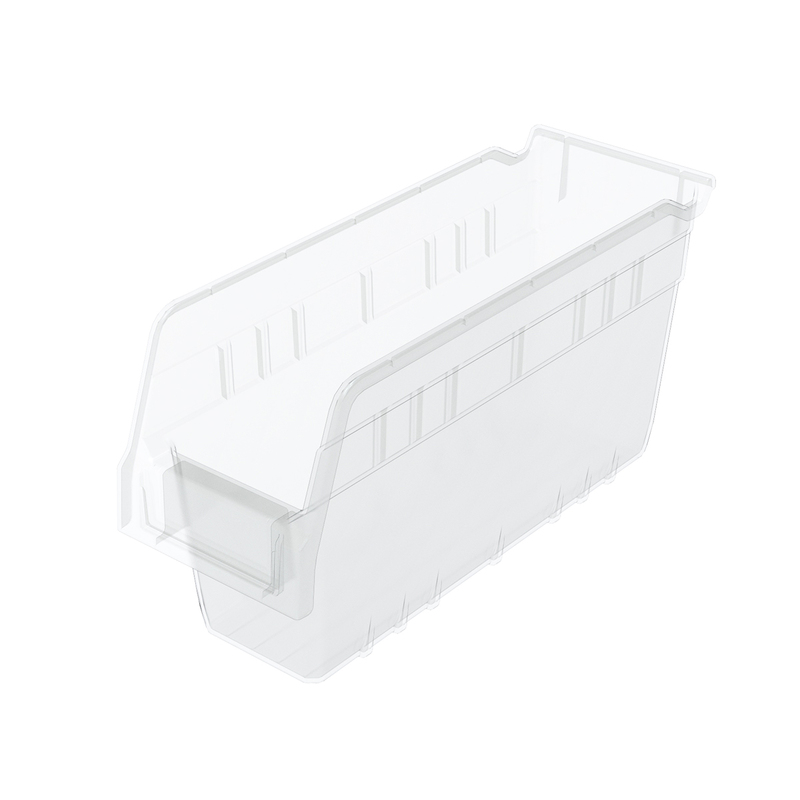 ShelfMax Shelf Bin 11-5/8" x 4-1/8 x 6, Clear (30040SCLAR). This item sold in carton quantities of 16. 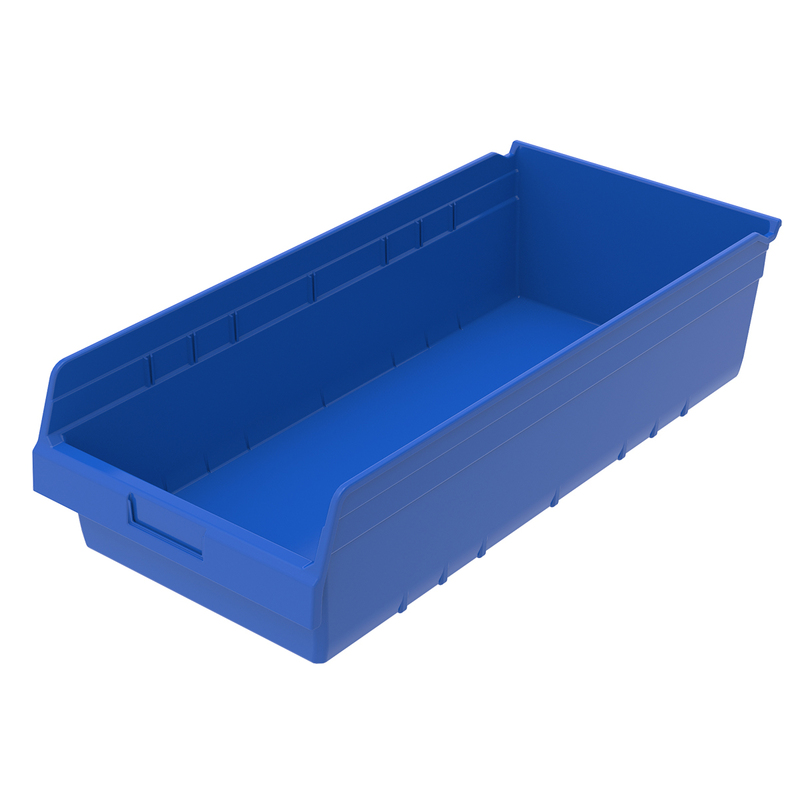 ShelfMax Shelf Bin 17-7/8" x 4-1/8 x 6, Blue (30048BLUE). This item sold in carton quantities of 8. ShelfMax Shelf Bin 17-7/8" x 4-1/8 x 6, Red (30048RED). This item sold in carton quantities of 8. 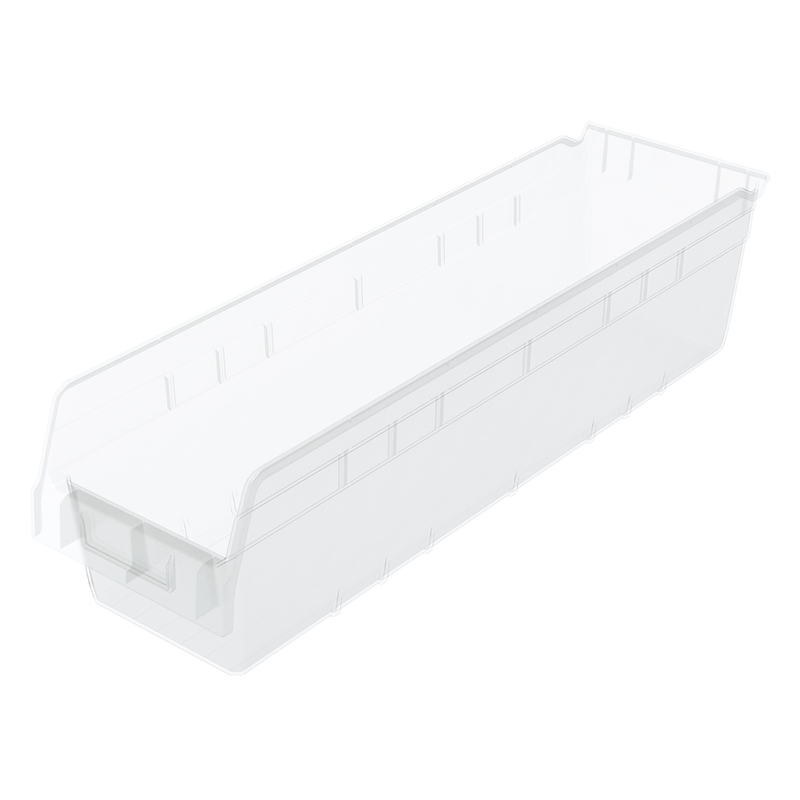 ShelfMax Shelf Bin 17-7/8" x 4-1/8 x 6, Clear (30048SCLAR). This item sold in carton quantities of 8. 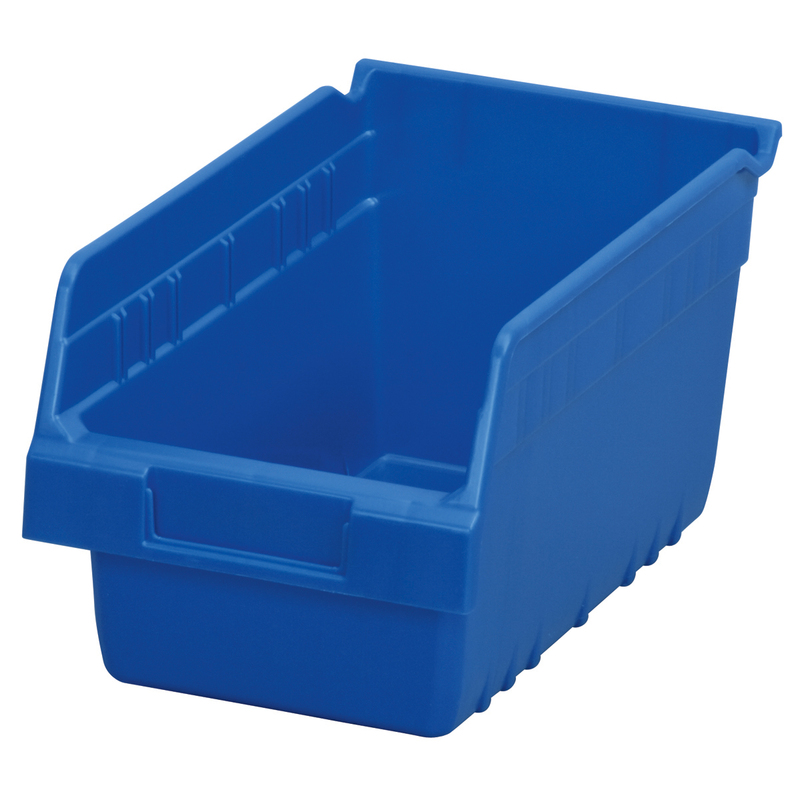 ShelfMax Shelf Bin 11-5/8"x 8-3/8 x 6, Blue (30080BLUE). This item sold in carton quantities of 8. ShelfMax Shelf Bin 11-5/8"x 8-3/8 x 6, Red (30080RED). This item sold in carton quantities of 8. 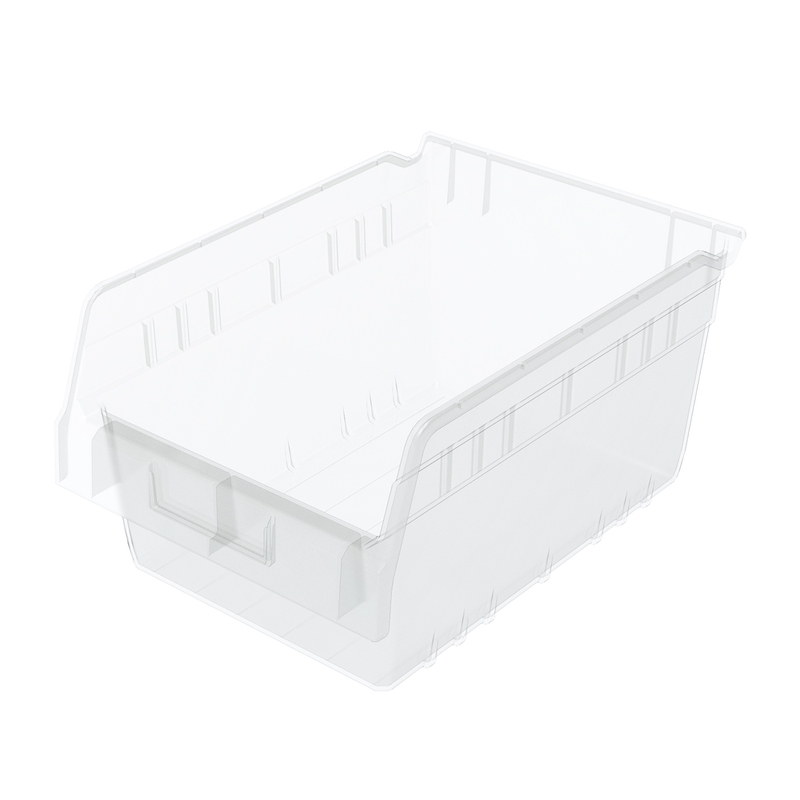 ShelfMax Shelf Bin 11-5/8"x 8-3/8 x 6, Clear (30080SCLAR). This item sold in carton quantities of 8. ShelfMax Shelf Bin 23-5/8" x 8-3/8 x 6, Blue (30084BLUE). This item sold in carton quantities of 6. 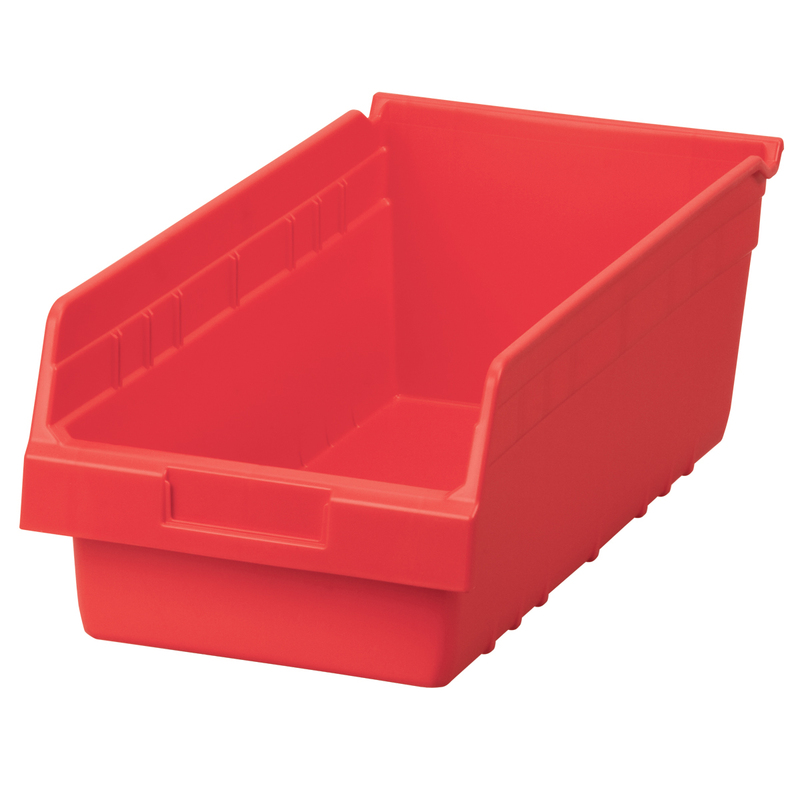 ShelfMax Shelf Bin 23-5/8" x 8-3/8 x 6, Red (30084RED). This item sold in carton quantities of 6. ShelfMax Shelf Bin 23-5/8" x 8-3/8 x 6, Clear (30084SCLAR). This item sold in carton quantities of 6. 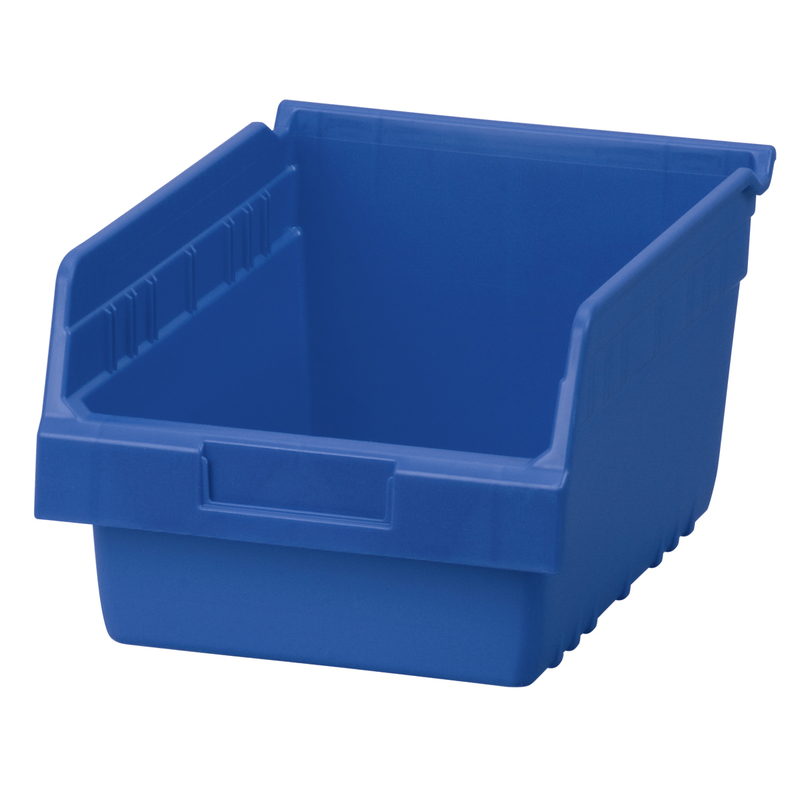 ShelfMax Shelf Bin 17-7/8" x 8-3/8 x 8, Blue (30088BLUE). This item sold in carton quantities of 8. 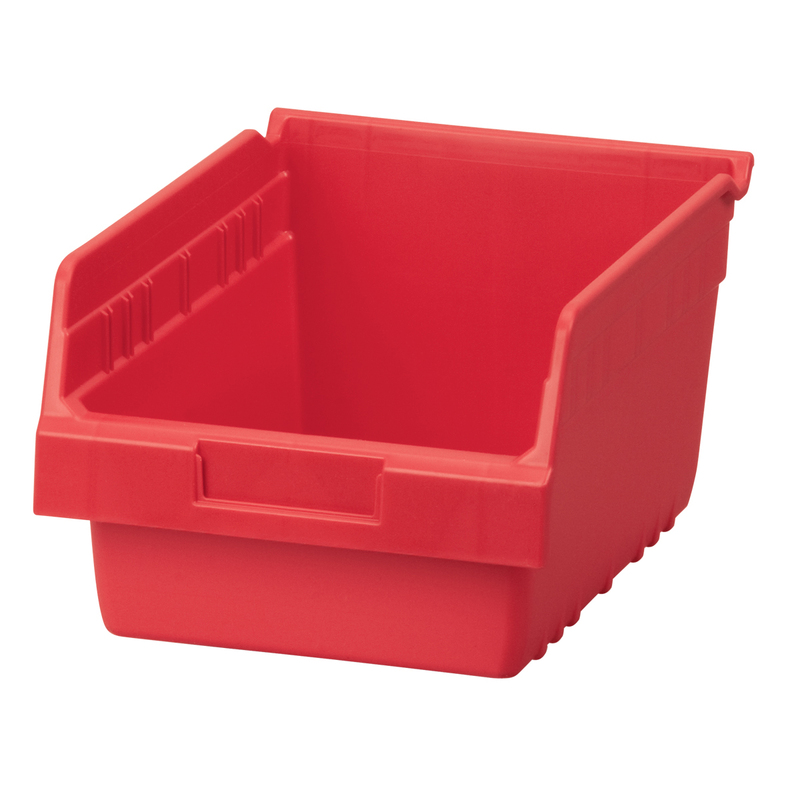 ShelfMax Shelf Bin 17-7/8" x 8-3/8 x 8, Red (30088RED). This item sold in carton quantities of 8. 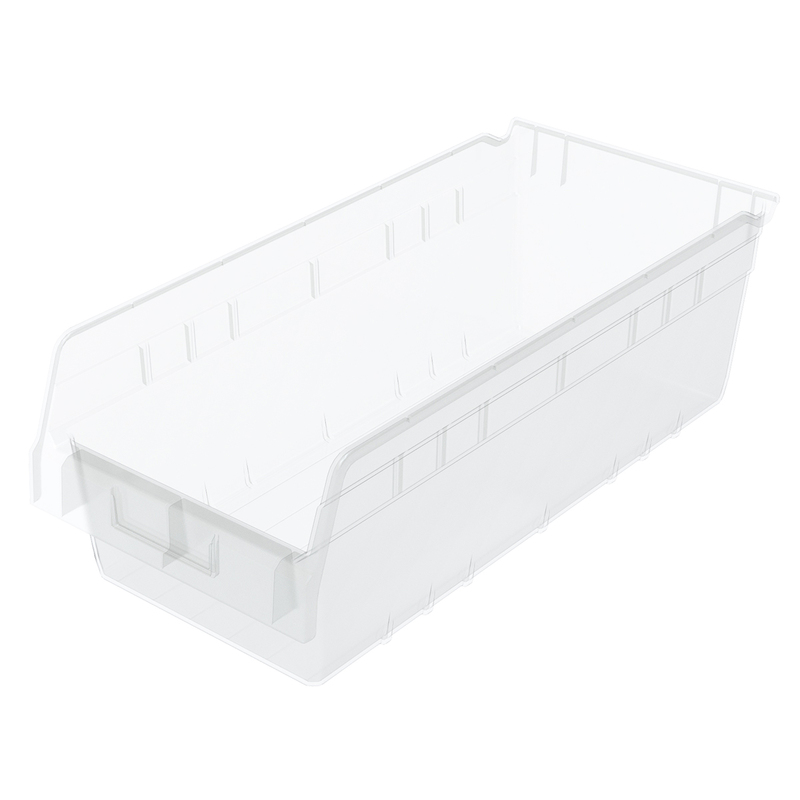 ShelfMax Shelf Bin 17-7/8" x 8-3/8 x 8, Clear (30088SCLAR). This item sold in carton quantities of 8. 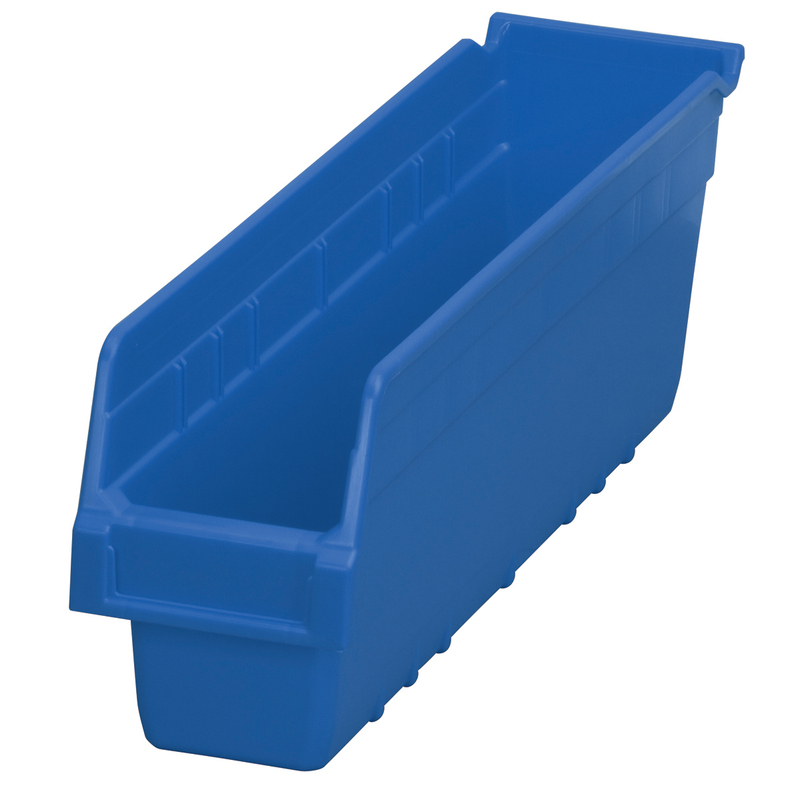 ShelfMax Shelf Bin 11-5/8"x 6-5/8 x 6, Blue (30090BLUE). This item sold in carton quantities of 10. 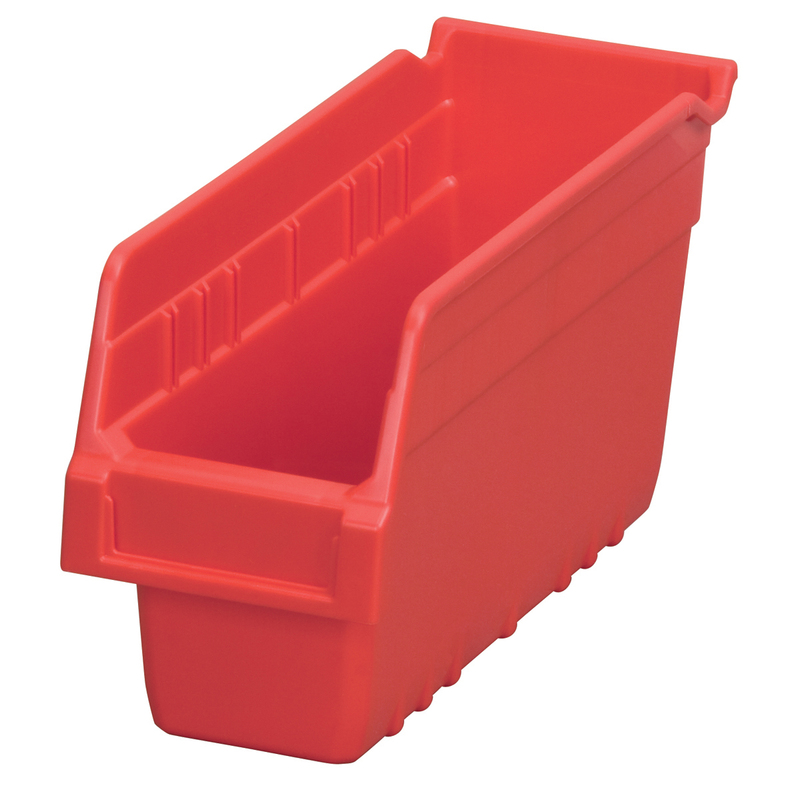 ShelfMax Shelf Bin 11-5/8"x 6-5/8 x 6, Red (30090RED). This item sold in carton quantities of 10. 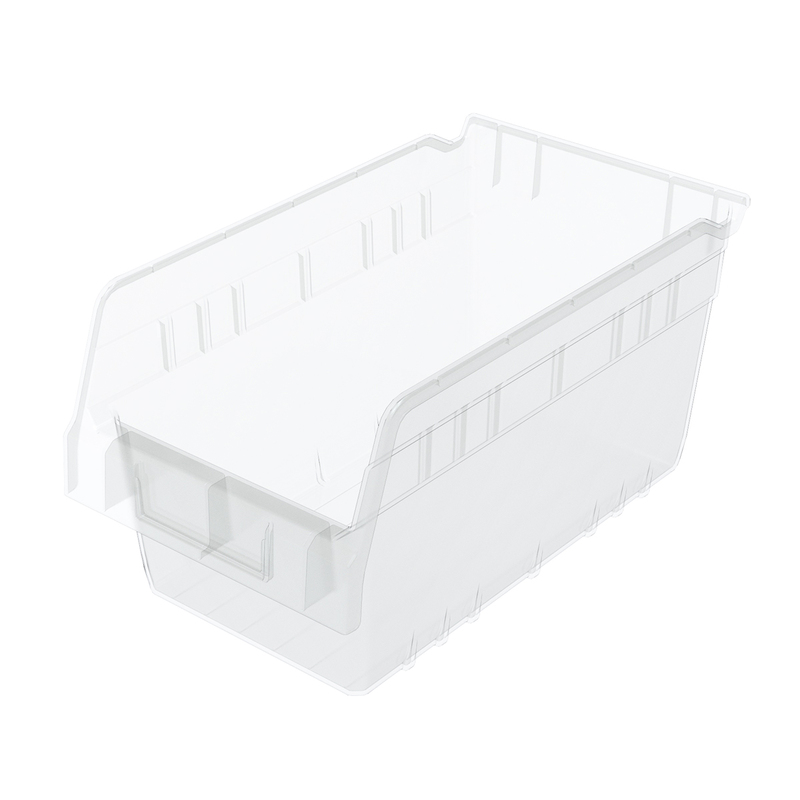 ShelfMax Shelf Bin 11-5/8"x 6-5/8 x 6, Clear (30090SCLAR). This item sold in carton quantities of 10. 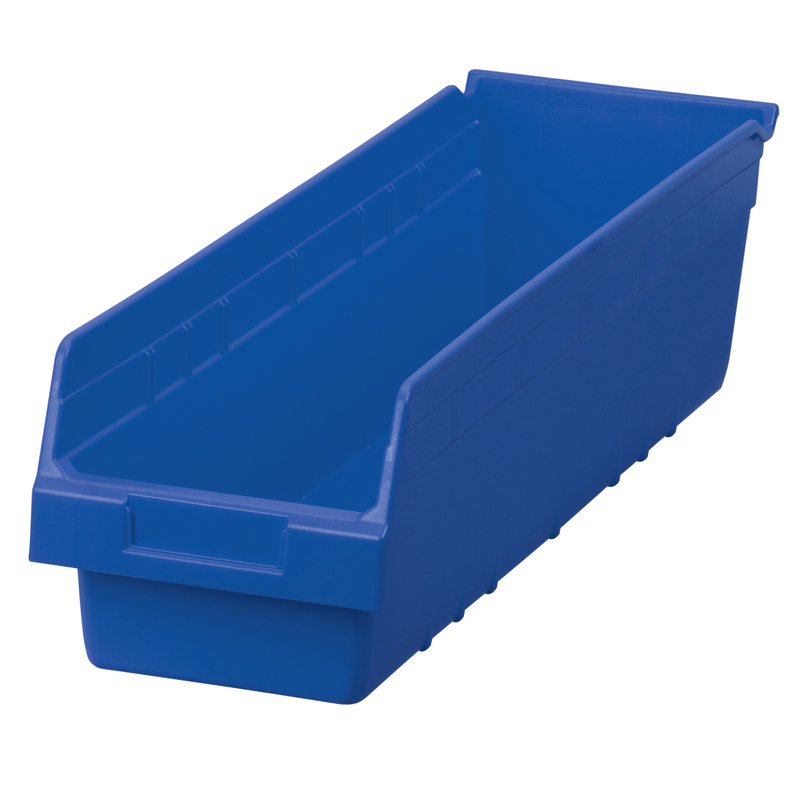 ShelfMax Shelf Bin 23-5/8" x 6-5/8 x 6, Blue (30094BLUE). This item sold in carton quantities of 10. 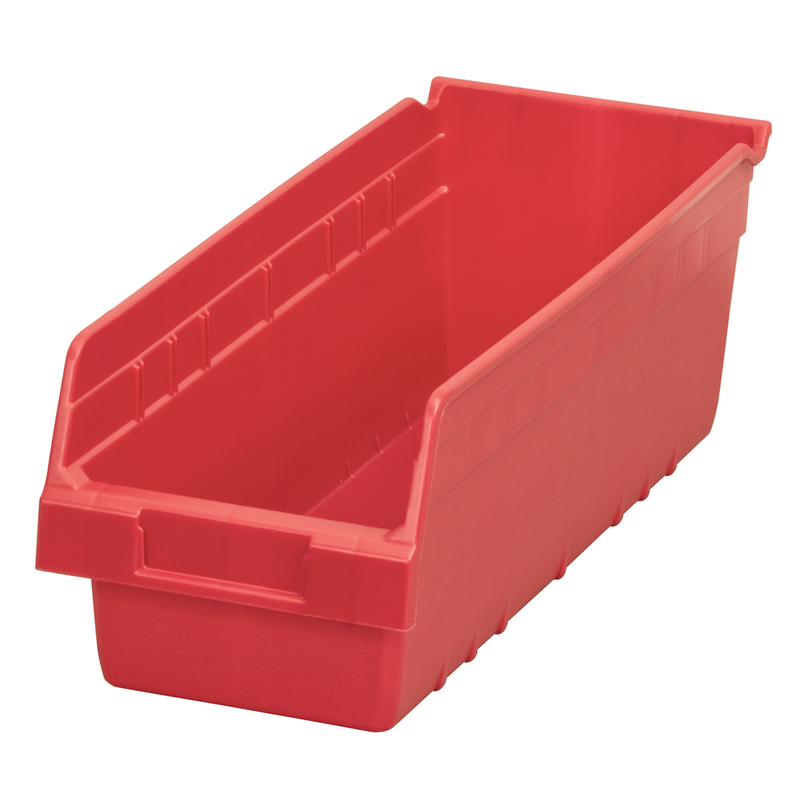 ShelfMax Shelf Bin 23-5/8" x 6-5/8 x 6, Red (30094RED). This item sold in carton quantities of 10. 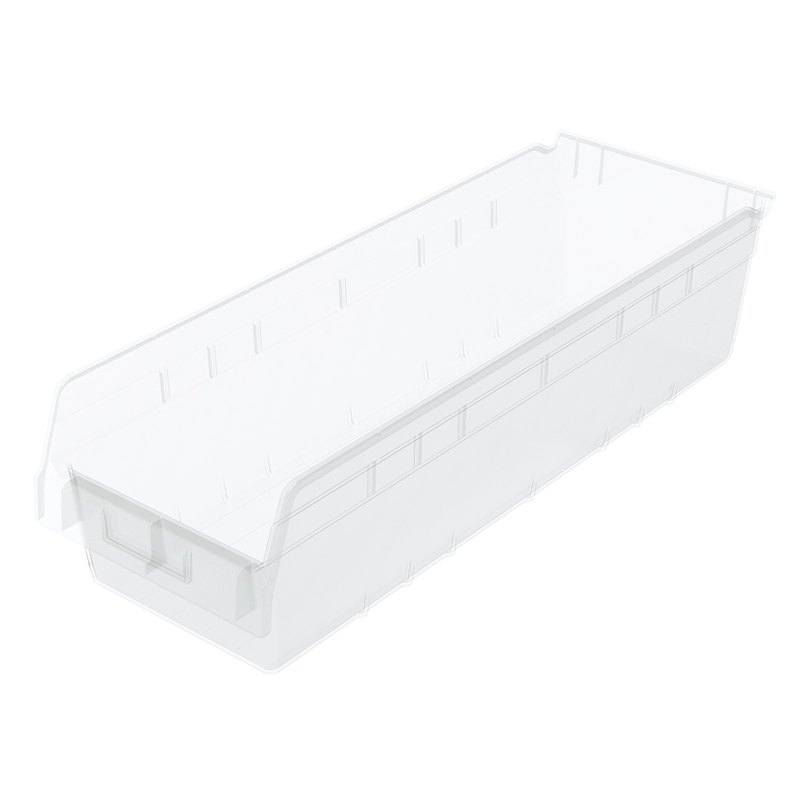 ShelfMax Shelf Bin 23-5/8" x 6-5/8 x 6, Clear (30094SCLAR). This item sold in carton quantities of 10. 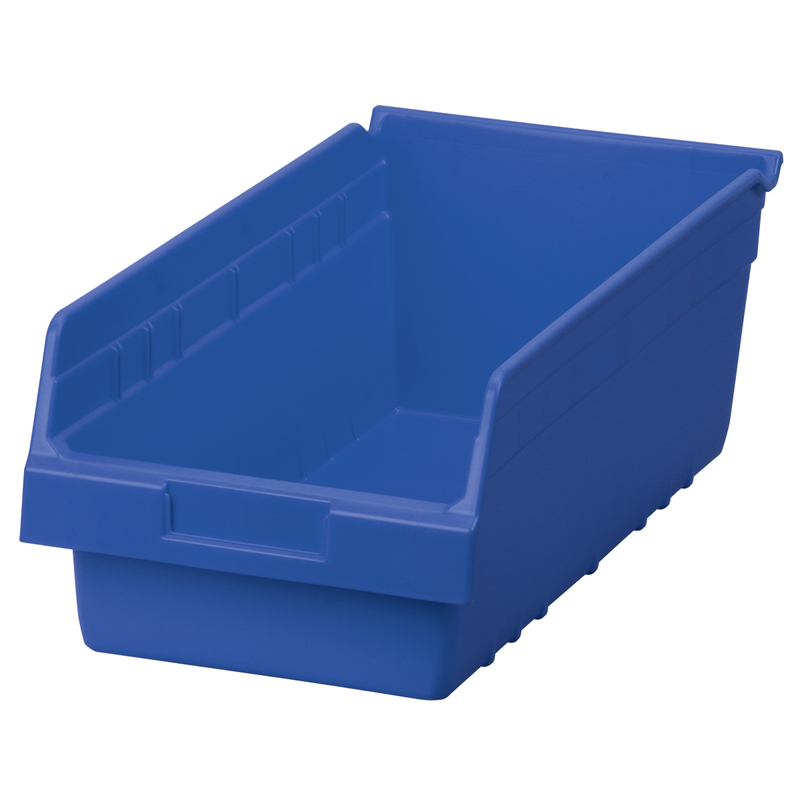 ShelfMax Shelf Bin 17-7/8" x 6-5/8 x 6, Blue (30098BLUE). This item sold in carton quantities of 10. 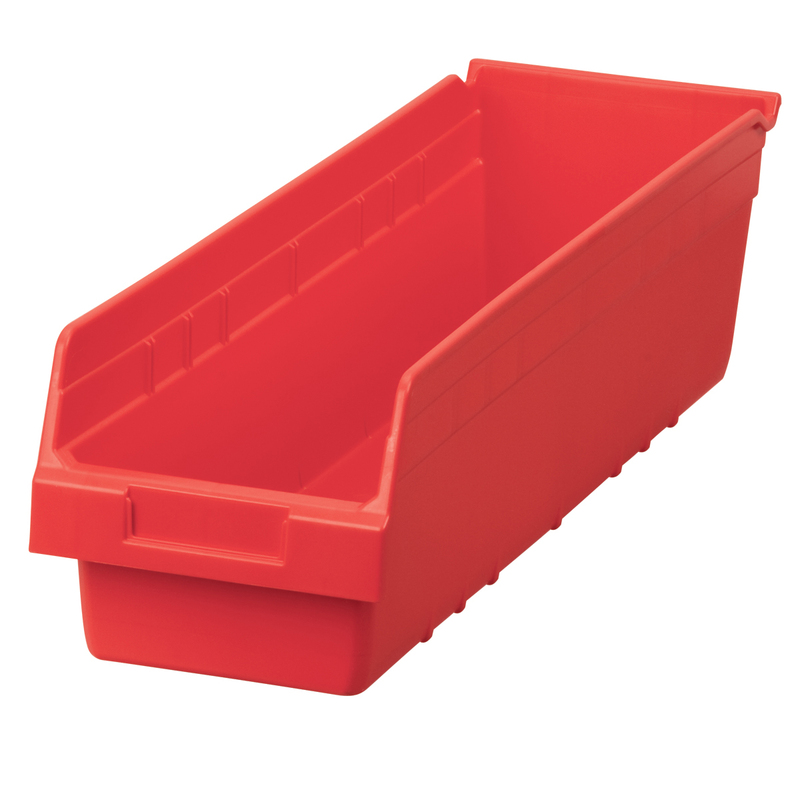 ShelfMax Shelf Bin 17-7/8" x 6-5/8 x 6, Red (30098RED). This item sold in carton quantities of 10. 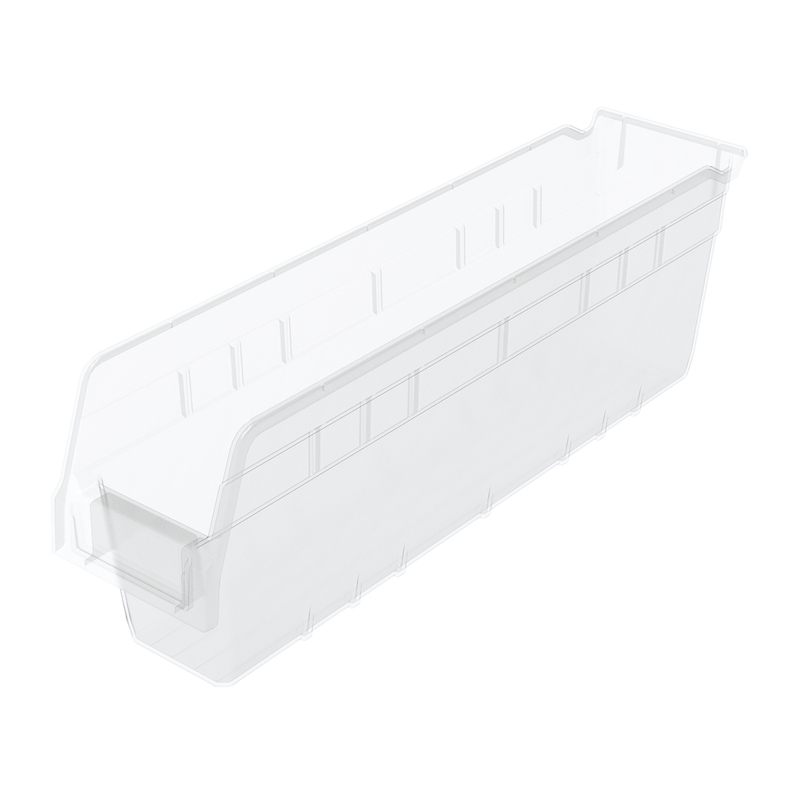 ShelfMax Shelf Bin 17-7/8" x 6-5/8 x 6, Clear (30098SCLAR). This item sold in carton quantities of 10. ShelfMax Shelf Bin 17-7/8" x 6-5/8 x 6, Yellow (30098YELLO). This item sold in carton quantities of 10.